There is a new show on Fox that I love/hate called The Last Man on Earth (Spoiler alert, I give away some show details below). If you have not seen the show, it is a comedy about the last man alive (so he thinks) and his journey. The show has progressed from being one person to a small group of seven characters who are making a home out in Arizona. The main character, Phil Miller, is a guy who just can’t seem to do anything right. Phil is constantly sabotaging himself from opportunities and it makes for both comedic and frustrating moments. A good example is when Phil was trying to make himself look like a hero because he found a cow. Unfortunately, one of the other characters knew how to actually milk it, and make cream and butter, which led Phil to make some bad decisions. In the end, Phil makes himself look bad and essentially screws himself out enjoying some fresh milk. While the show is obviously a suspended reality, it made me think about how many of us sabotage things on a daily, weekly and yearly basis. Do you put off projects or maybe not prioritize them efficiently? I know that personally, there have been things that I put on the “back burner,” only to cause more work for myself later and while I try to stay on task, it doesn’t happen 100 percent of the time. I see the same thing when speaking with prospects conducting their search for a new ERP system. We work with people who start looking, do some demonstrations and then suddenly, they disappear. In some manner, they start evaluating, life gets in the way and the problems they are trying to eliminate bog them down, so they push a project out further and further. When we finally get back to discussions (months or years later), they need to start all over again. Pushing off the project has now caused them to waste time and not solve their issues efficiently. While priorities change and “fires” certainly need to be addressed, you need to ask yourself if you are solving your issues or just placing band-aids on them? 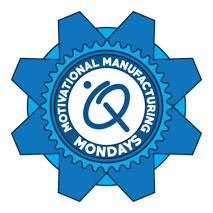 IQMS would love to help you and is looking to join with manufacturers who are ready to advance their businesses. The companies that are the most successful have placed some serious effort today to make tomorrow better. Don’t be like Phil Miller and continue to sabotage your own success, address your needs for tomorrow by taking the right steps today. 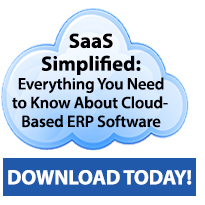 While an ERP project might not be your need today, what is it that you are working toward that should be a priority today so you have greater success in the future?